The Denizli basin is one of the most familiar basins in the world where large travertine deposits are existed. The travertine exhibits various structural properties such as porosity, layer, hardness depending on sedimentation conditions. This causes the travertine to have physical and mechanical properties varying in wide range. As a natural building stone, Denizli travertines are exported to various regions of the world and became an important market both in Turkey and abroad. In this study, the apparent porosity (na), dry and saturated unit volume weight (gk, gd) and uniaxial compressive strength (UCS) values of 56 cores taken from the travertine blocks obtained from the Kaklık region were determined and these results were compared to longitudinal compressional wave velocity (Vp) and shear wave velocity (Vs) values. Measured Vp and Vs wave velocity values were increased with increasing gk, gd values whereas Vp and Vs wave velocities were linearly decreased with increasing na values. UCS values increased exponentially with increasing gk values and decreased exponentially with the increase of na values. Vp and Vs wave velocities exponentially increased with increasing UCS values. Shear modulus, poisson ratio and modulus of elasticity values were also calculated empirically by measured Vp and Vs values. Denizli havzası traverten çökeliminin yaygın olarak görüldüğü dünyaca ünlü havzalardan birisidir. Traverten, çökelim koşullarına bağlı olarak gözeneklilik, tabakalanma, sertlik gibi değişken yapısal özellikler sunmaktadır. Bu durum travertenin çok geniş bir aralıkta değişen fiziksel ve mekanik özelliklere sahip olmasına neden olmaktadır. Bu çalışmada Denizli traverteninin temel fiziksel özellikler ve TSD değerlerinin Vp ve Vs değerlerinden tahmini amaçlanmıştır. Doğal yapı taşı olarak Denizli travertenleri, Dünya’nın çeşitli bölgelerine ihraç edilmekte ve gerek yurt içi gerekse de yurtdışında önemli bir pazara sahiptir. Bu çalışmada, Kaklık bölgesinden temin edilen traverten bloklarından alınmış 56 karot örneğinin kuru ve doygun birim hacim ağırlık (gk, gd) görünür porozite (na) ve tek eksenli sıkışma dayanımı (TSD) değerleri belirlenmiş ve bu özelliklerin boyuna (Vp) ve enine (Vs) ultrasonik dalga hızları ile karşılaştırılması yapılmıştır. Denizli travertenlerinde gk, gd değerlerinin artışıyla ölçülen Vp ve Vs dalga hızı değerlerinin de doğrusal olarak arttığı, bunun tersine örneklerin na değerlerinin artışına bağlı olarak da Vp ve Vs dalga hızarında doğrusal bir düşüm gözlenmiştir. TSD değerlerinin gk değerlerinin artışıyla üstel olarak arttığı, na değerlerinin artışıyla ise üstel olarak azaldığı görülmüştür. Vp ve Vs dalga hızlarının artışıyla TSD değerlerinin üstel olarak arttığı ortaya konmuştur. Denizli travertenleri için elastik parametrelerden olan kayma modülü, poisson oranı ve elastisite modülü değerleri Vs ve Vp değerlerinden ampirik olarak hesaplanmış ve sunulmuştur. Chafetz H.S. and Folk R.L., “Travertines: Depositional morphology and the bacterially constructed constituents”, Journal of Sedimentary Petrology 54(1): 289-316, (1984). Özkul M., Kele S., Gökgöz A., Shen C.C., Jones B., Baykara M.O., Fόrizs I., Németh T., Chang Y.W. and Alçiçek M.C., “Comparison of the Quaternary travertine sites in the Denizli extensional basin based on their depositional and geochemical data”, Sedimentary Geology, 294: 179-204, (2013). Özkul M., Varol B. and Alçiçek M.C., “Depositional environments and petrography of the Denizli travertines”, Bulletin of the Mineral Research and Exploration, 125: 13-29, (2002). Török A. and Vásárhelyi B., “The influence of fabric and water content on selected rock mechanical parameters of travertine, examples from Hungary”, Engineering Geology, 115:237-245, (2010). Yağız S., “P-wave velocity test for the assessment of some geotechnical properties of rock materials”, Bulletin of Materials Science, 34: 943-957, (2011). García-del-Cura M.A., Benavente D., Martínez-Martínez J. and Cueto N., “Sedimentary structures and physical properties of travertine and carbonate tufa building stones”, Construction and Building Materials, 28: 456-467, (2012). Çobanoğlu İ. and Çelik S.B., (2012) Determination of strength parameters and quality assessment of Denizli travertines (SW Turkey). Engineering Geology, 129-130:38-47, (2012). Çelik S.B., Çobanoğlu İ. and Atatanır L., “General material properties of Denizli (SW Turkey) travertines as a building stone”, Bulletin of Engineering Geology and the Environment, 73: 825-838, (2014). Ağan C., “A preliminary study on the conservation and polishing performance of Şanlıurfa limestones as a traditional building material”, Bulletin of Engineering Geology and the Environment, 75: 13-25, (2016). Toksöz M.N., Cheng C.H. and Timur A., “Velocities of Seismic Waves in Porous Rocks”, Geophysics, 41(4): 621-645, (1976). Kahraman S., “The correlations between the saturated and dry P-wave velocity of rocks”, Ultrasonics, 46: 341-348, (2007). Karakul H. and Ulusay R., “Kayaların Dayanım Özelliklerinin Farklı Doygunluk koşullarında P-dalga Hızından Kestirimi ve P-Dalga Hızının Fiziksel Özelliklere Olan Duyarlılığı”, Yerbilimleri, 33(3): 239-269, (2012). Soete J., Kleipool L.M., Claes H., Claes S., Hamaekers H., Kele S., Özkul M., Foubert A., Reijmer J.J.G. and Swennen, R., “Acoustic properties in travertines and their relation to porosity and pore types”, Marine and Petroleum Geology, 59: 320-335, (2015). Kuşçu M. ve Demiray Z., “Mermer ve Yapıtaşı Olarak Kullanılan Farklı Jeolojik Kökenli Kayaçların Porozite, P-Dalga Hızı ve Basınç Dayanımı İlişkisinin İncelenmesi”, Süleyman Demirel Üniversitesi Fen Bilimleri Enstitüsü Dergisi, 19(2): 16-23, (2015). Çelik M.Y., “Afyonkarahisar yöresi tüflerinin fiziko-mekanik özelliklerinin ultrases dalga hızı ile ilişkisinin incelenmesi”, Politeknik Dergisi, 20(4): 961-970, (2017). Deere D.U. and Miller R.P., “Engineering classification of intact rock”, Technical Report AFWL-TR-65-116, Kirtland Air Force Base, New Mexico, 300p, (1966). Katz O., Reches Z. and Roegiers J-C., “Evaluation of mechanical rock properties using a Schmidt Hammer”, International Journal of Rock Mechanics and Mining Sciences, 37: 723-728, (2000). Kahraman S., “Evaluation of simple methods for assessing the uniaxial compressive strength of rock”, International Journal of Rock Mechanics and Mining Sciences, 38: 981–994, (2001). Palchik V. and Hatzor Y.H., “The influence of porosity on tensile and compressive strength of porous chalk”, Rock Mechanics and Rock Engineering, 37(4): 331–341, (2004). Yaşar E. and Erdoğan E., “Correlating sound velocity with the density, compressive strength and Young’s modulus of carbonate rocks”, International Journal of Rock Mechanics and Mining Sciences, 41: 871–875, (2004). Karakuş M., Kumral M. and Kılıç O., “Predicting elastic properties of intact rocks from index tests using multiple regression modelling” International Journal of Rock Mechanics and Mining Sciences, 42:323–330, (2005). Fener M., Kahraman S., Bilgil A. and Günaydın O., “A comparative Evaluation of indirect methods to estimate the compressive strength of rocks”, Rock Mechanics and Rock Engineering, 38(4): 329-343, (2005). Sharma P.K. and Singh T.N., “A correlation between P-wave velocity, impact strength index, slake durability index and uniaxial compressive strength”, Bulletin of Engineering Geology and the Environment, 67(1): 17-22, (2008). Yağız S., “Predicting uniaxial compressive strength, modulus of elasticity and index properties of rocks using Schmidt hammer”, Bulletin of Engineering Geology and the Environment, 68: 55-63, (2009). Yılmaz I. and Yüksek G., “Prediction of the strength and elasticity modulus of gypsum using multiple regression”, ANN, and ANFIS models. International Journal of Rock Mechanics and Mining Sciences, 46(4): 803-810, (2009). Dehghan S., Sattari G.H., Chehreh C.S. and Aliabadi M., “Prediction of unconfined compressive strength and modulus of elasticity for Travertine samples using regression and artificial neural networks” Mining Science and Technology, 20: 41-46, (2010). Sharma P.K., Khandelwal M. and Singh T.N., “A correlation between Schmidt hammer rebound numbers with impact strength index, slake durability index and P-wave velocity” International Journal of Earth Sciences, 100(1): 189-195, (2011). 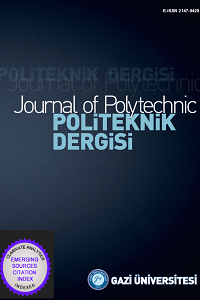 Altındağ R., “Correlation between P-wave velocity and some mechanical properties for sedimentary rocks. Journal of the Southern African Institute of Mining and Metallurgy, 112: 229-237, (2012). Ersoy H. and Kanık D., “Multicriteria decision-making analysis based methodology for predicting carbonate rocks’ uniaxial compressive strength”, Earth Sci Res SJ 16(1): 65-74, (2012). Ceryan N., Okkan U. and Kesimal A., "Prediction of unconfined compressive strength of carbonate rocks using artificial neural networks”, Environmental Earth Sciences, 68: 807-819, (2013). Karakul H. and Ulusay R., “Empirical correlations for predicting strength properties of rocks from P-wave velocity under different degrees of saturation. Rock Mechanics and Rock Engineering, 46: 981-999, (2013). Momeni E., Nazir R., Armaghani D.J. and Mohamad E.T., “Prediction of unconfined compressive strength of rocks: a review paper” Jurnal Teknologi, 77(11): 43-50, (2015). Selçuk L. and Nar A., “Prediction of uniaxial compressive strength of intact rocks using ultrasonic pulse velocity and rebound-hammer number”, Quarterly Journal of Engineering Geology and Hydrogeology, 49(1): 67-75, (2015). Parent T., Domede N., Sellier A. and Mouatt L., “Mechanical characterization of limestone from sound velocity measurement”, International Journal of Rock Mechanics and Mining Sciences, (79): 149-156, (2015). Madhubabu N., Singh P.K., Kainthola A., Mahanta B., Tripathy A. and Singh T.N., “Prediction of compressive strength and elastic modulus of carbonate rocks”, Measurement, 88: 202-213, (2016). Azimian A., “Application of statistical methods for predicting uniaxial compressive strength of limestone rocks using nondestructive tests”, Acta Geotechnica, 12: 321-333, (2017). ASTM, “Standard practice for preparing rock core specimens and determining dimensional and shape tolerances (Designation: D 4543). Annual Book of ASTM Standards, Philadelphia, PA, USA, (1985). Anon, “Classification of rocks and soils for engineering geological mapping. Bulletin of the International Association of Engineering Geology, (19): 364-371, (1979). Proceq, Pundit lab/Pundit lab+ ultrasonic instrument operating instructions. Proceq SA, 31p, (2014). Jeager J.C. and Cook N.G.W. “Fundamentals of Rock Mechanics” 3rd ed., Chapman and Hall, London, (1979).